Long Island is home to countless cosmetic and plastic surgeons and practices offering a vast array of procedures, from facial rejuvenation and breast surgery to body contouring, sculpting, and non-surgical techniques, such as injectables and fillers, clinical skin care, laser skin resurfacing, laser hair removal, and much more. This guide details the differences between plastic and cosmetic surgery, outlines several of the most popular surgeries and procedures, provides helpful advice on determining the best cosmetic surgeons, and breaks down why CSNY is the premier cosmetic surgery and injectable center on Long Island. Appearance is of paramount importance in this day and age. Those wishing to look younger, feel more vibrant and refreshed, and measure up to societal standards are increasing by the day; likewise, the options available to them has grown tremendously over time. Recent data from the nonprofit American Society for Aesthetic Plastic Surgery (ASAPS) indicates that many plastic and cosmetic surgical procedures, previously believed to be on the decline, are in fact on the rise, nationwide. Long Island is no exception to this trend. According to the latest annual survey of American Board of Plastic Surgery board-certified plastic surgeons, surgical procedures account for nearly 77% of all physicians’ business. “With advances, including less invasive techniques resulting in less postoperative downtime, an increasing number of patients are warming up to the idea of going under the knife, as surgery still promises the longest-term, if not permanent, results,” explained W. Grant Stevens, MD, president-elect of ASAPS, in a statement about the findings. While many use the terms “plastic surgery” and “cosmetic surgery” interchangeably, in reality, these practices are quite different. 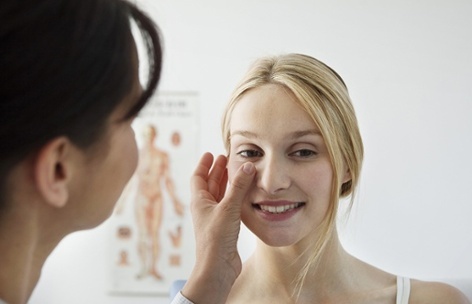 Plastic surgery is focused on correcting defects in patients via repair, restoration and reconstruction. Cosmetic surgery, by contrast, is designed to increase aesthetic appeal, symmetry and proportion, and can be performed on all areas of the head, neck and body. As these areas are functional, any procedures are classified as purely elective. According to statistics compiled by the nonprofit American Society of Plastic Surgeons at the close of 2017, the top five procedures performed nationwide were: breast augmentation (300,378, up 3% from 2016); liposuction (246,354, up 5% from 2016); nose reshaping (218,924, down 2% from 2016); eyelid surgery (209,571, no change from 2016); and tummy tuck (129,753, up 2% from 2016). Broken down by region, instances of breast augmentation in the Mountain and Pacific areas dwarf all other territories, as do the figures for eyelid surgery, liposuction and tummy tucks. Rhinoplasty is the sole top category within the New England and Middle Atlantic region, which includes Long Island and New York City, with a total of 63,539 procedures performed in 2017. On the minimally invasive front, soft tissue fillers lead the charge, with preference given to hyaluronic acid, such as Juvederm® and Restylane®. While surgical costs vary by region, the national average for these most popular procedures stack up as follows: breast augmentation, $3,718; liposuction, $3,374; nose reshaping, $5,125; eyelid surgery, $3,026; tummy tuck, $5,992. Botox® averages $385, while the soft tissue fillers vary depending on the type. 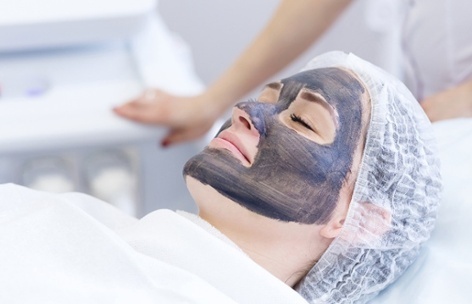 A chemical peel will run you $698, laser hair removal $293, and microdermabrasion $137. While many facilities offer free consultations, be sure to inquire about any additional costs relating to anesthesia, the use of operating and recovery rooms, as well as any post-op medications that may be needed. These services can tack on an average of $1,000 to the total bill. Among the top cosmetic surgery categories are facial rejuvenation, breast procedures, body contouring, clinical skin care, and injectables and fillers, each of which encompasses a host of options designed to fit patients’ specific desires. As the field continues to evolve, new techniques are introduced regularly, offering countless alternatives to consider. Those looking to reclaim a natural, refreshed appearance often turn to facial rejuvenation procedures to achieve that healthy glow. It is imperative that you select the right surgeon to ensure that you come away with the desired look, preferably, one who will modify his/her technique to suit your unique features and work to preserve their essence. Options include face and brow lifts, eyelid, nose and ear surgeries, and chin and cheek implants. 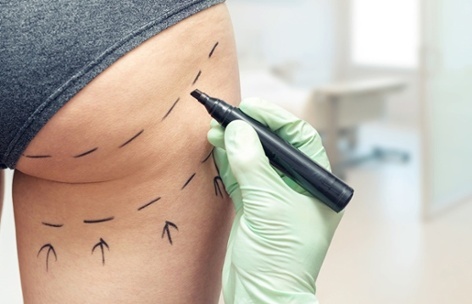 By tightening muscle, removing fat and trimming excess skin, these procedures are able to produce dramatic results over a short period of time. While not permanent, coupled with proper skin care, the effects of these treatments can be enhanced and prolonged. Breast surgery is one of the most common procedures performed nationwide, and can involve augmentation, reduction or lift. Beyond the physical alterations desired, the most important aspect to consider is the patient’s individual lifestyle and personality in determining the best course of action. One size does not, literally or figuratively, fit all, and it is crucial to find a surgeon who understands your particular goals and expectations. Options to weigh include the size, shape and material used in the implants, as well as the ideal area of placement for your specific needs. Each variation has its owns benefits and drawbacks, as well as recovery protocol. Soreness and swelling is typically minimal, and patients are generally able to return to normal activities within a week of the procedure. Optimal results are aided by maintaining good overall health and a stable weight. For those looking to achieve a more toned physique, body contouring is a viable option. Whether you have recently lost a large amount of weight, or your body has changed due to pregnancy and breastfeeding, this process is effectively designed to eliminate excess fat and skin that may be unresponsive to traditional diet and exercise regimens. Procedures to consider include liposuction, tummy tucks, post-bariatric surgery, body, arm, neck, buttock and thigh lifts. While these are not weight-loss methods, they each offer the opportunity to slim and contour areas of the body by removing targeted zones of fat cells. The best candidates are those close to their ideal weight who are in good general physical condition and have the capacity to maintain a healthy lifestyle following the chosen procedure. Most of these procedures are minimally invasive and require a skin care regimen to maintain a renewed and youthful appearance afterwards. In some instances, multiple sessions may be necessary to achieve optimal results. In order to determine which treatments may be best, a consultation with a licensed medical aesthetician is recom. 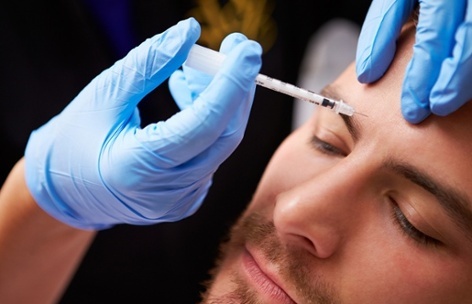 Injectables have gained popularity in recent years as a means of “filling in” the lines and creases created when tissue begins to break down beneath the surface of the skin. Often used in conjunction with a resurfacing procedure, such as a laser treatment, injectables may also stand on their own as a viable option in battling the agicess. Numerous variations exist, among them Botox®, Juvéderm®, Restylane®, Radiesse® and Kybella®, each with their own particular benefits and purposes. With rare exception, side effects are mild and temporary, and may include minor swelling, redness and bruising at the injection site. Areas that are treated on a regular basis retain their results for a longer period of time. With any surgical procedure, it is recommended that you do the proper research before making a decision. Your surgeon should be certified by the American Board of Plastic Surgery. This is a voluntary credential indicating that candidates have passed both written and oral exams. Graduation from an accredited medical school is required, followed by completion of six years of additional training as a resident surgeon in an accredited program, the last three of which are devoted exclusively to plastic surgery. FACS (Fellow; American College of Surgeons) is another important designation to note, as it indicates the surgeon’s education, training, professional qualifications, professional competence, and ethical conduct have all passed a rigorous evaluation consistent with the standards established by the American College of Surgeons. It is important to note that board-certified surgeons do not typically charge more than those who are not, making it all the more crucial to choose wisely when selecting a medical practitioner to perform your cosmetic procedure. Once a doctor is selected, patients should make a point of asking the necessary questions leading up to their surgery to be sure they are adequately prepared for the results, any potential side effects that can occur, as well as any post-op protocol that may come into play. The majority of procedures should not be expected to be permanent; some require multiple sessions in order to achieve optimal results. Nearly 50% of all cosmetic surgery patients have undergone prior procedures; many have had multiple treatments performed simultaneously. With rare exception, a combination of diet and regular exercise, healthy lifestyle habits and beneficial skin practices are necessary to maintain the desired effects. No one procedure is designed to be a “fix-all” for a patient, nor should your surgeon present it as such. 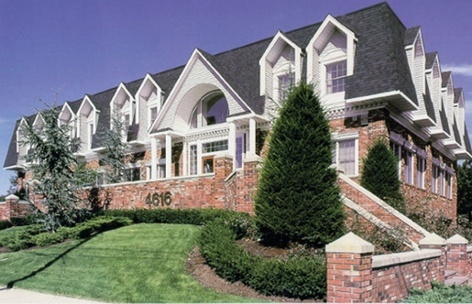 Dr. Jacobs serves as the Chief Emeritus of Plastic Surgery at St. Charles Hospital, and Dr. Warm is the Chief of Plastic Surgery at John T. Mather Hospital. Both doctors operate exclusively in accredited medical facilities and follow a strict code of ethics, including the fulfillment of continuing plastic surgery education requirements and the adherence to patient safety techniques. 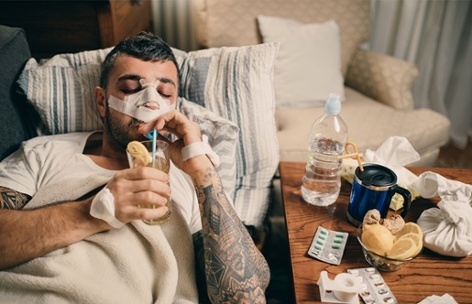 Their unique ER Express program affords patients the option of procuring the skills of a plastic surgeon to treat lacerations, dog bites, or other similar injuries. This concierge service is provided at no extra charge by contacting their emergency hotline at 631.473.5800. Simply tell the emergency room staff that you have arranged for a CSNY doctor to meet you, and your visit will be properly expedited.